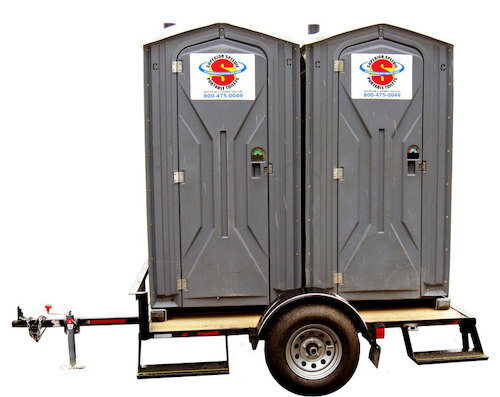 These two portable toilets mounted to a trailer are an ideal solution for highway trash collection teams, job sites, oil wells, farms and other agricultural uses when the job is on the move. These units can be set up anywhere and brought out to the road weekly for our service trucks to clean and service them on their route day. They are equipped with hand sanitizer, urinal and toilet. The trailer has stabilizer jacks for stability and safe use. 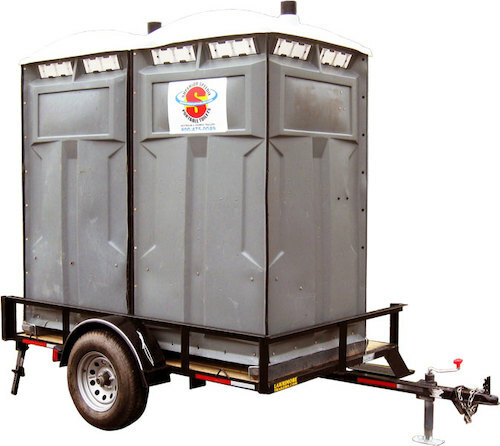 Contact us to learn more about how you can use mounted portable restrooms on your job sites. Superior Portables is proud to have provided the portable toilets for the 2016 Tough Mudder at the Mid Ohio Sports Car Course in Lexington, Ohio. Swish Tank Vol: 60 gal.